What pays better,trifecta key bet or trifecta box? I don’t think either pays better. The payoff is not linked to the method used in the bet, although the key is the better money management bet. For example, a $1 Trifecta box is 3 horses in any combination 1-2-3 but they must run first, second, third and you only have 3 horses (tough in my opinion in big field). A box limits you to the 3 or 4 horses you intend to include in the box. The box to me indicates you are weighting each horses chance equally. That rarely is the case but boxes are easier to manage. I generally like one horse better than another, not equally. A key is a little higher level where you are betting or weighting your opinion that one horse will win or finish in a certain position. Now you could key a horse in first, second, or third. That just means if you key it must run there. You may key a favorite second or third with some bombers to improve payoffs. You may leave off the favorite and be sick when he holds for third and your 9-1 key wins. I'd use a key for a mid-price level horse I like to win over the field, which allows the longshot bombs a box does not, should they hit the board. If my opinion of the winner is strong I key on top maybe multiple times. Then I key for second but fewer times. A key for $6 total bet might be #1 horse over 3 horses say the 2-3-4 in second over 2-3-4 in third. So the outlay wager cost could be the same but the payoff would be determined by the pool and horses that go first thru third. In this example the result could be 1-2-3 with the $1 box hitting. The key method where the #1 must win might go 1 first, #2 second and #3 third. The payoff would be identical since it ran 1-2-3. Now if it ran 2-3-1 the key loses but box wins in my example. So the box paid off where the key did not. If it is a chaos race maybe a box makes sense. For some action bets I may play boxes. Throw 4 horses in a tri for $24 cost on $1. For 5 horses it goes to $60. For Superfectas keying helps manage the cost though. I don’t play a lot of supers because I have zero feel for who can run fourth. I have seen races where Mister Ed could run fourth. Unexpected things happen in horse races all the time, and the only way to hit those 75-1 shots with impossible form in tri's is to use that 'All' button, under a tri key, or in one race of a multi race ticket. 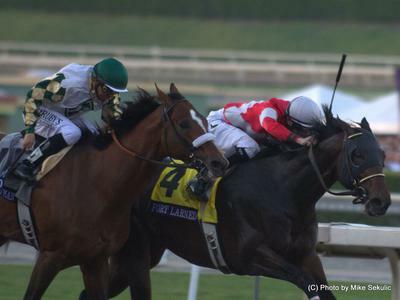 If someone were to bet the Kentucky Derby, the Key trifecta or superfecta is the best bet. I always narrow the field to say, 7-10 horses that have a legitimate chance of hitting the board. Then I take my top four or five runners and use them in a key bet over the rest. Last year I spent $100 doing this and hit the Trifecta for over $6,000.